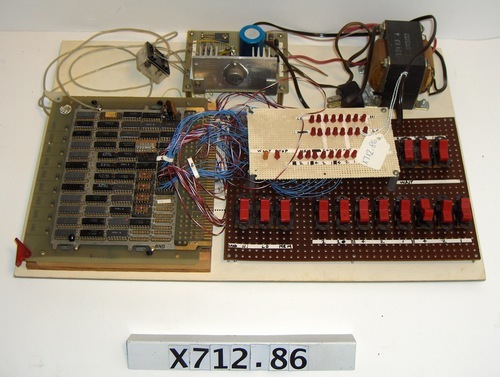 Intel 8008 based microcomputer built from kit. This is one of the honorable mentions in the contest. This is one of the pre-printed circuit (ie this is wire wrapped) versions of the RGS- 008.